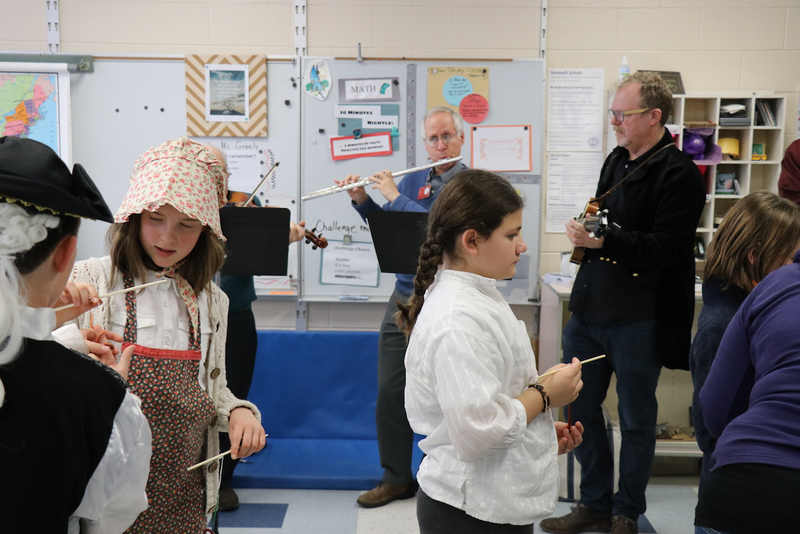 Our fifth grade students explored what life was like during colonial times at our annual Colonial Craft Day celebration. 317 Main Community Music Center contributed the music for this special day. 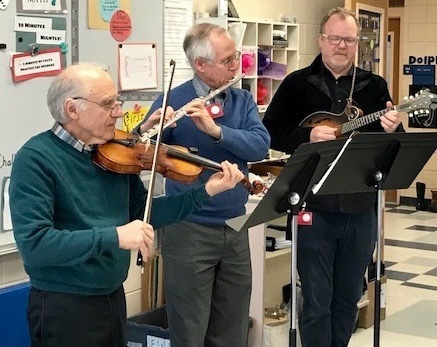 Musicians Chris Moore (mandolin), 317 Main’s Director Of Music Education, Whit Ford (flute and fife) and Are Dedekian, (fiddle) played beautiful, toe tapping, colonial tunes, to the delight of our students and staff! 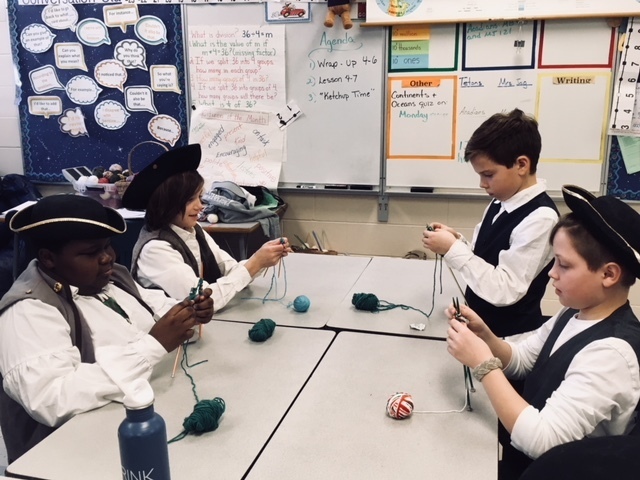 Our students dressed in the clothing of the time period, learned to knit, make butter, candles and homemade toys. They weren't the only ones who got into the spirit as you can see by Mrs. Conley's photo! We are grateful to our visiting musicians and Amy Sinclair, who made the addition of music to his year's celebration possible, and to Blair Currier, Kathy Lathem and the HMS Nutrition Team for the delicious "family style" lunch! Thank you to Nini Emmons for her on-going support of this event, and to our parent volunteers and the the fifth grade team for all they do to create this special learning experience for our students!